The Atlas Fountain was designed by William Andrews Nesfield in 1850. The Portland stone figures were made by John Thomas, who was paid £1183/10s/3d. Before the fountain was installed at Castle Howard it was exhibited at the Great Exhibition of 1851. The globe that Atlas is holding has the signs of the Zodiac and was bought by the Howard family at the Paris Great Exhibition of 1889. 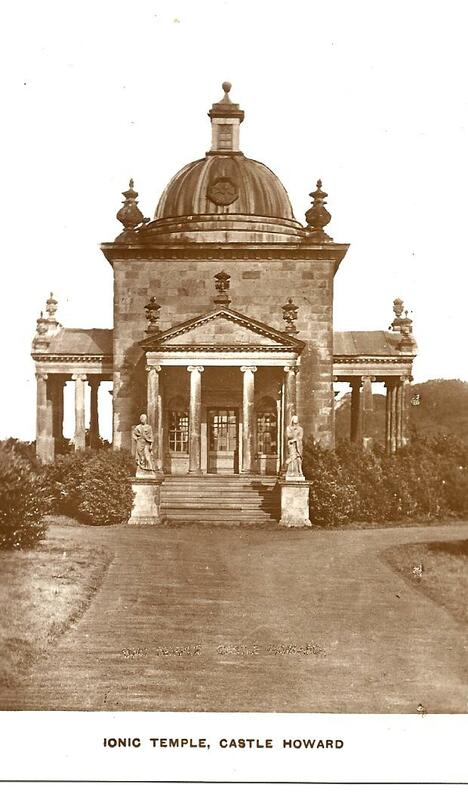 The huge mausoleum at Castle Howard was designed by Nicholas Hawksmoor but was unfinished when he died in 1736. 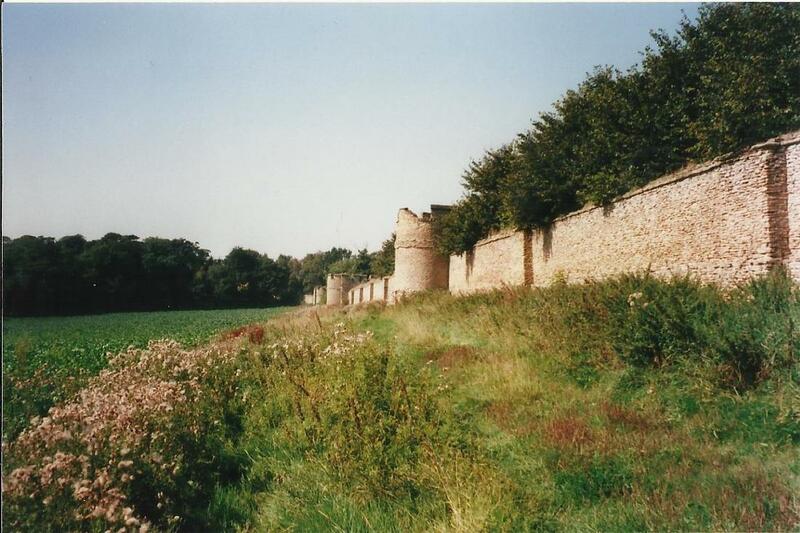 Daniel Garrett added the fortified wall around the base. Horace Walpole wrote: 'a mausoleum that would tempt one to be buried alive'. 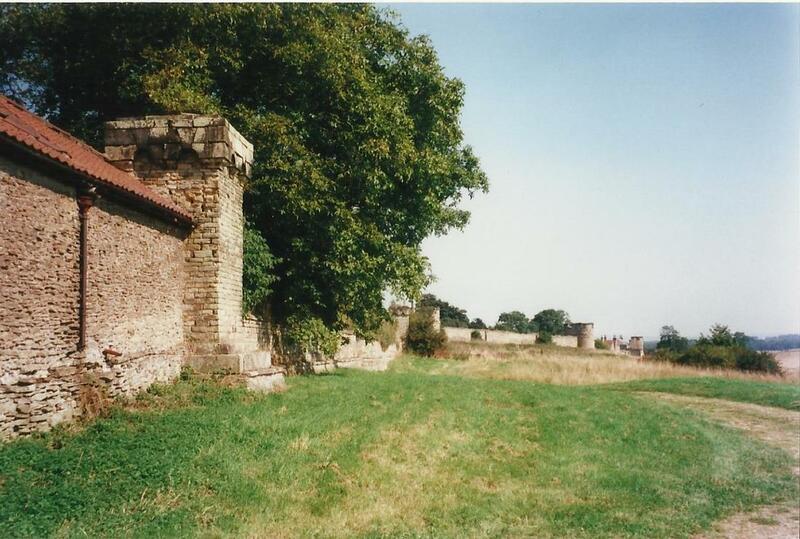 The 3rd Earl of Carlisle was buried there, but after his death. 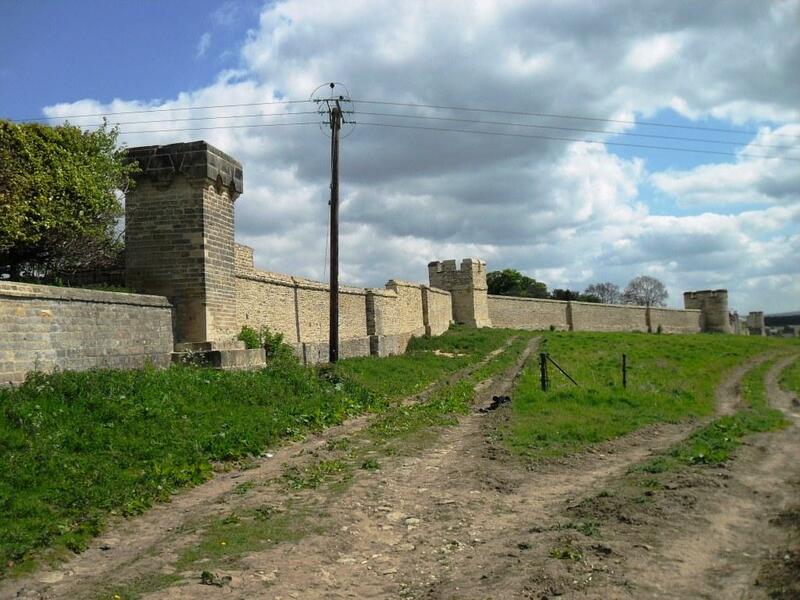 The 2,000ft long wall with 11 towers is said to be Britain's longest folly. When John Vanbrugh designed the ramparts he may have had in mind the walls of Chester that were damaged during the Civil War. 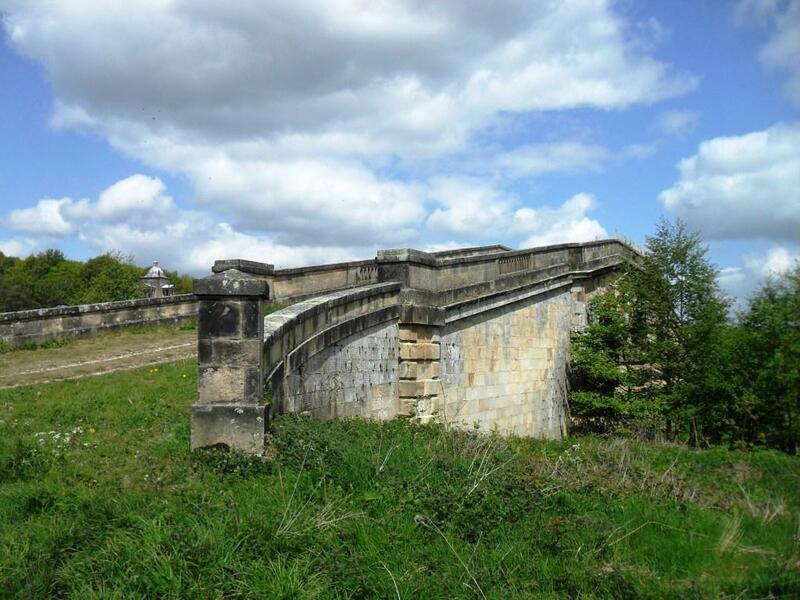 The New River Bridge at Castle Howard was designed by Daniel Garrett for Henry, the 4th Earl of Carlisle, in about 1740. The 100 feet high obelisk at the focal point of the approach road to Castle Howard was designed by Nicholas Hawksmoor and is dated 1714. It celebrates the accession of George l and also the achievements of the Earl of Carlisle. 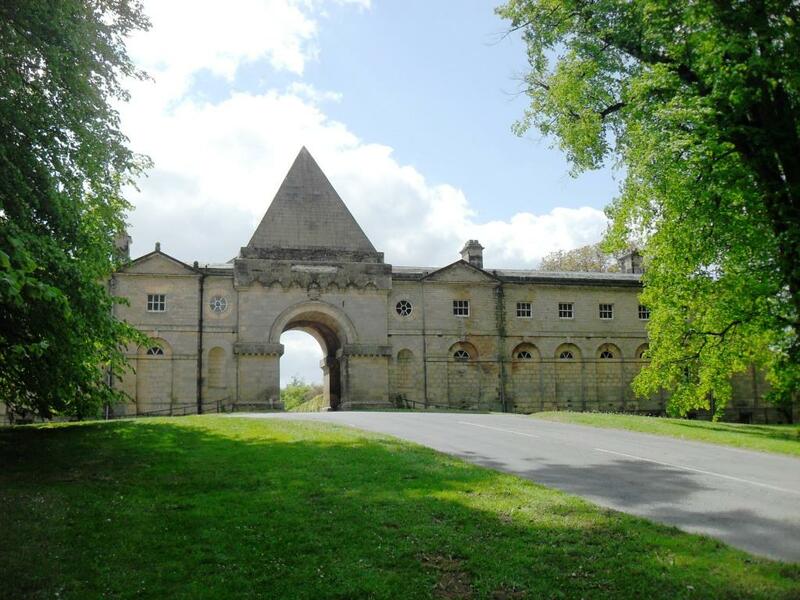 Designed by John Vanbrugh in 1719, the Pyramidal Gate was the entrance to the old deer park. The wings, built in the 1750s as a hostelry for visitors, detracts from the effect of the mighty triumphal arch. 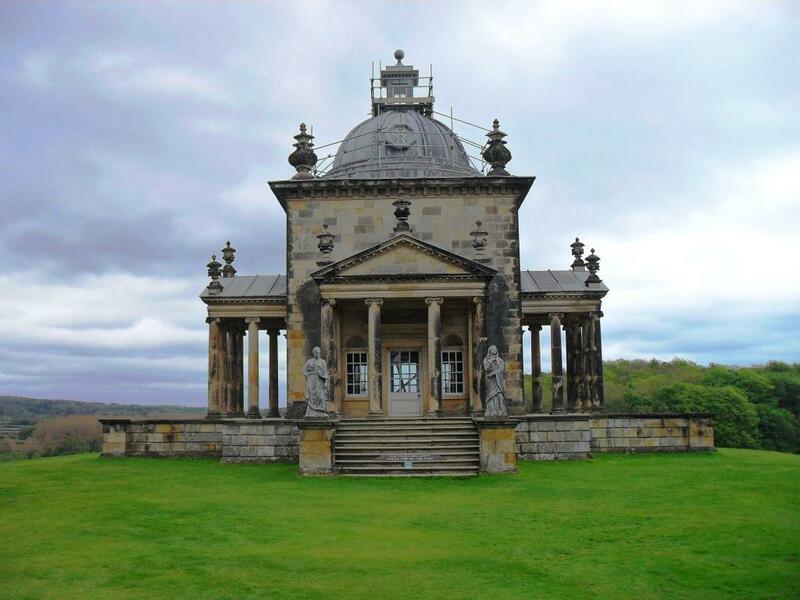 The Temple of the Four Winds at Castle Howard was John Vanbrugh's final work and was built between 1724 and 1726. It was based on Palladio's Villa Rotunda. The Satyr Gate is the entrance to the kitchen garden at Castle Howard. 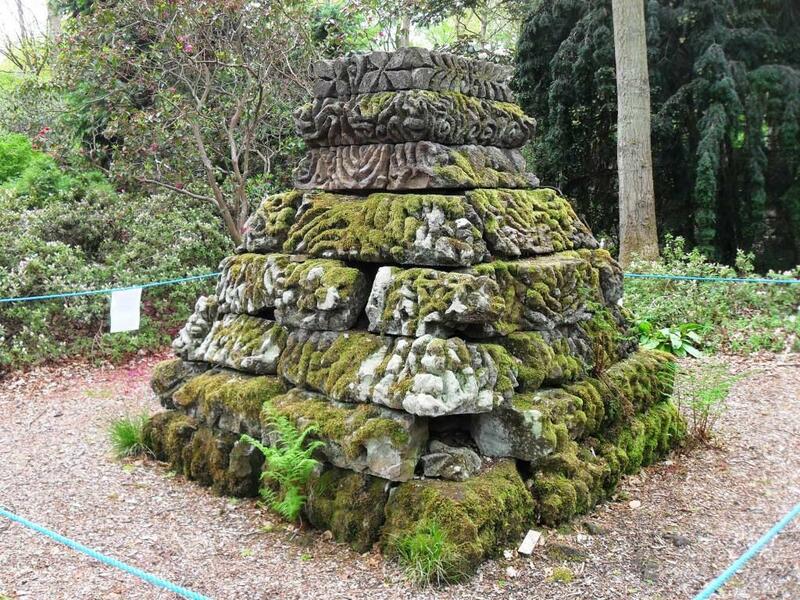 The unusual heads and baskets of ornamental stone flowers were carved by Samuel Carpenter of York. bunch of grapes in his hand. Courtyard in the Vatican Museum. 'Also known as the Roman or Fighting Gladiator. Villa Borghese, now in the Louvre, Paris. a cost of 17 guineas. Lead version supplied by Andrew Carpenter in 1723 at a cost of £21. her collection but now in the Prado, Madrid. 1723 at a cost of £21. hound and the head of the boar he has just killed. After the marble version in the Vatican Museum. yard of John Nost, 1708-1711.
usually represented as a fat jolly man and nearly always intoxicated. or Andrew Carpenter, before 1730. The statue of Spinario, the shepherd boy who delivered a message to the Roman Senate and only stopped to remove a thorn after he had delivered it, was sculpted by Andrew Carpenter in 1723. It was copied from a Roman original that is in the Capitoline Museum in Rome. The statue was restored in 1995 and placed on a new plinth. The original pedestal was by Nicholas Hawksmoor. ​There is a similar statue of the Boy with Thorn at Prideaux Place at PADSTOW, Cornwall.